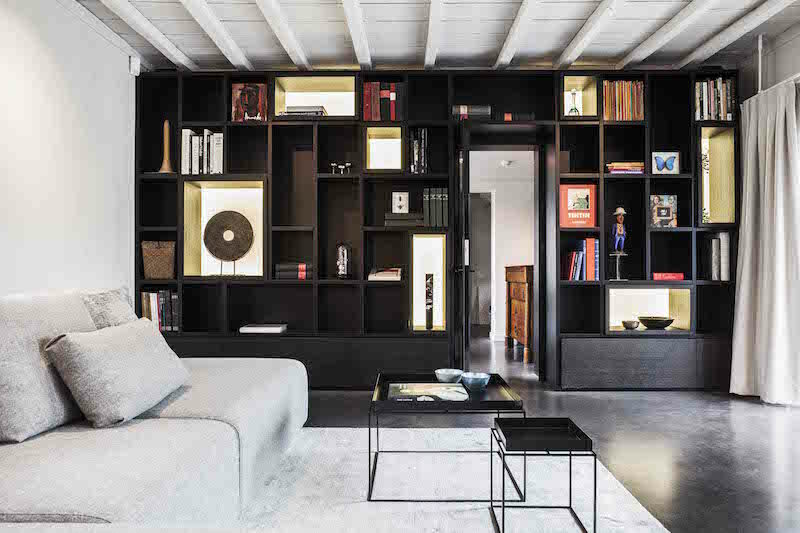 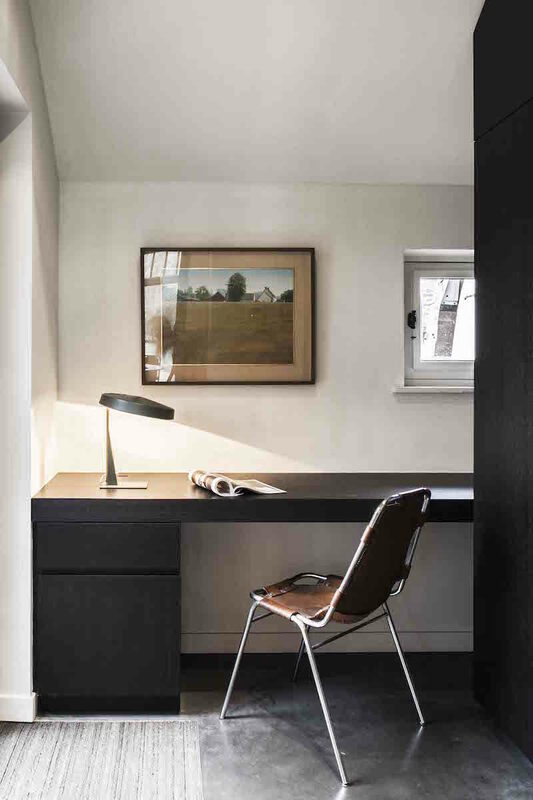 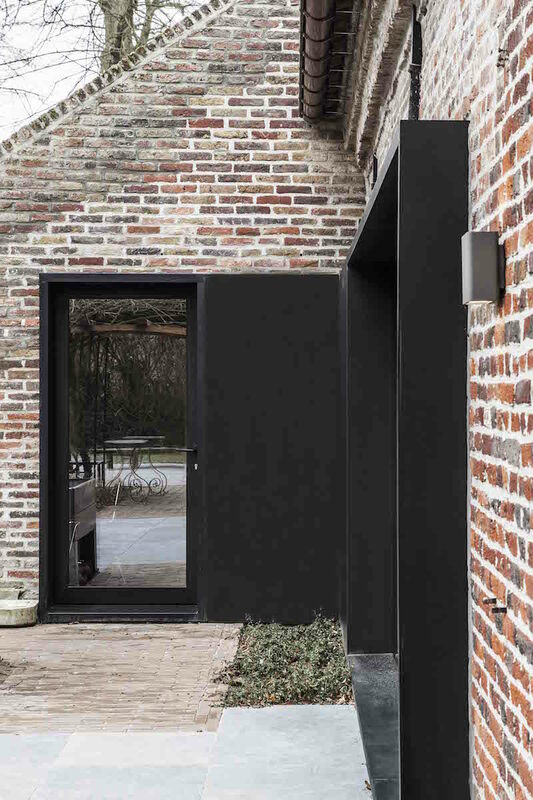 The thorough renovation of this old farm house, designed by JUMA architects, created a perfect balance between old and new. 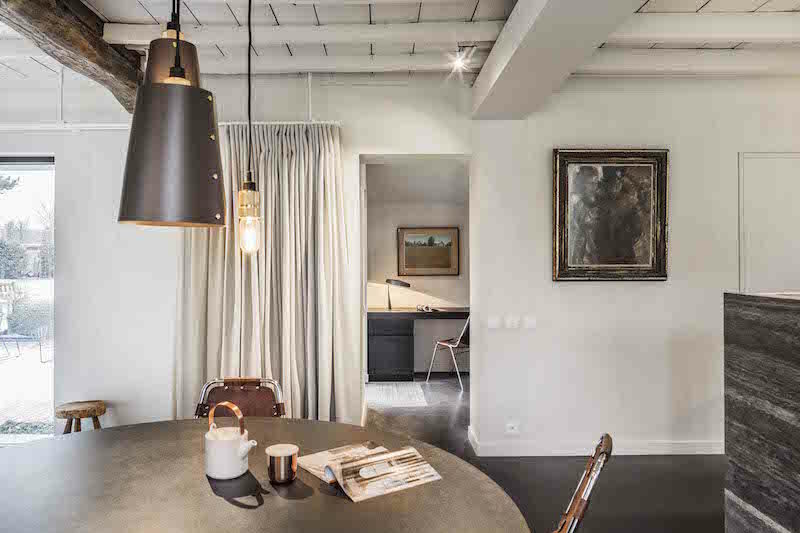 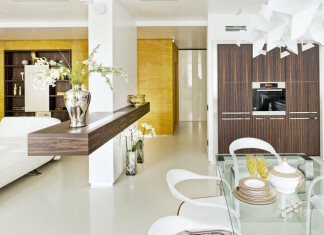 With the new design the house now enjoys plenty of natural light and spacious interiors. 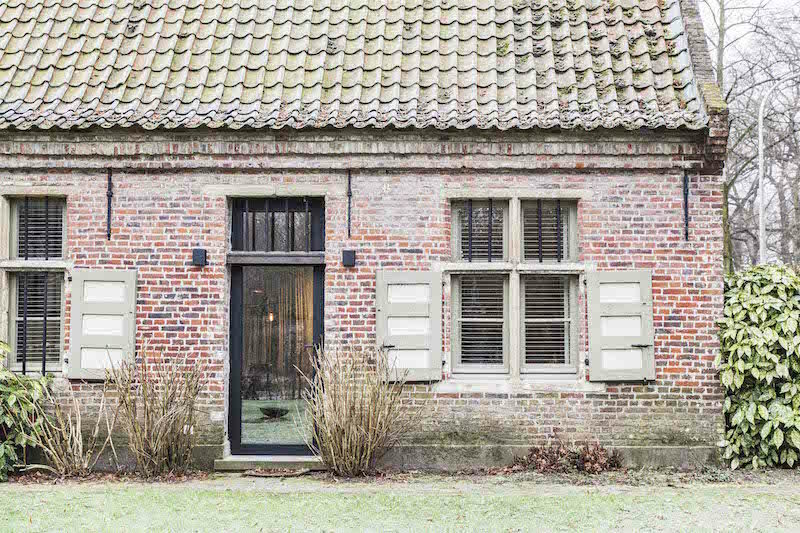 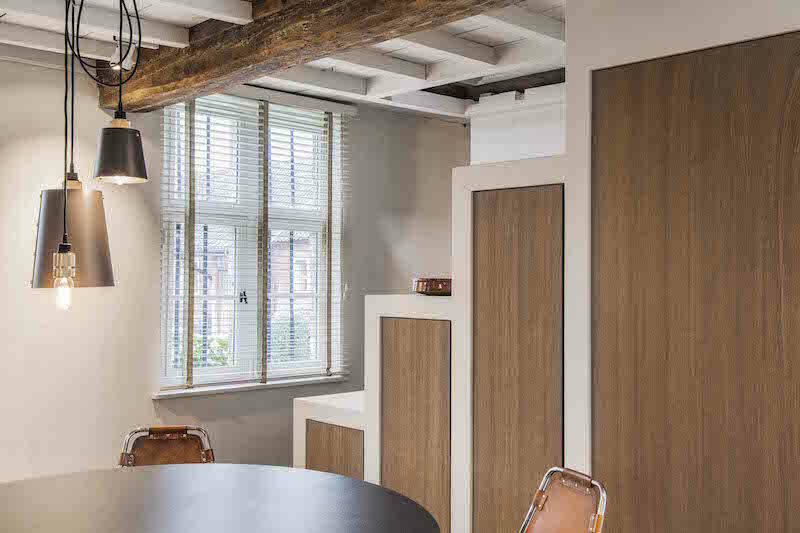 Inside the house you can see a perfect combination of traditional farm house characters meeting some modern details and the interesting and perfect harmony of materials and textures. 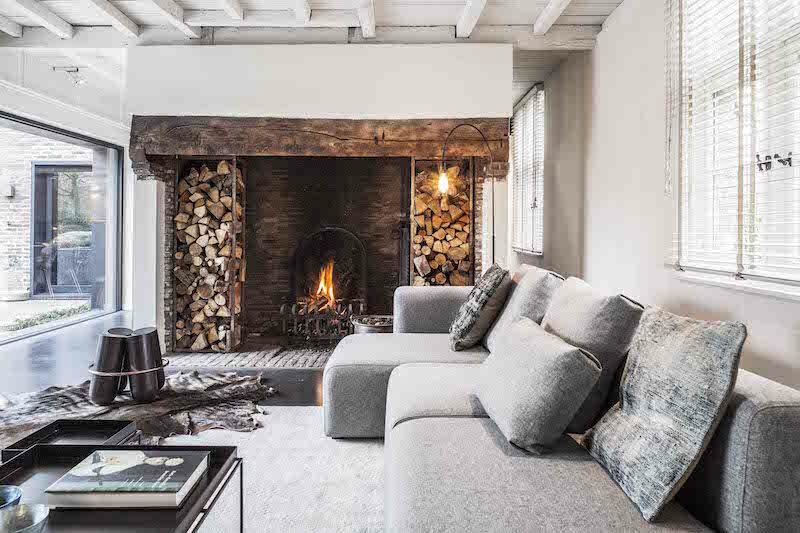 The impressive original fireplace was retained among other valuable elements to respect the history and style of the house. 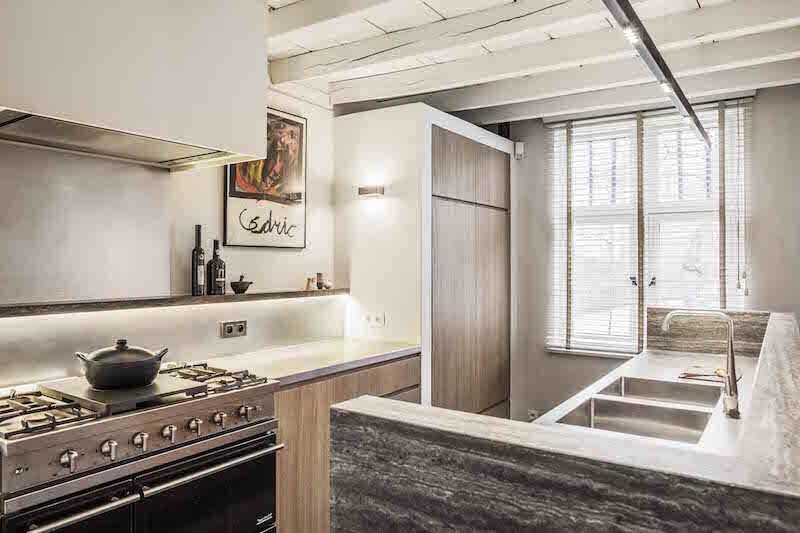 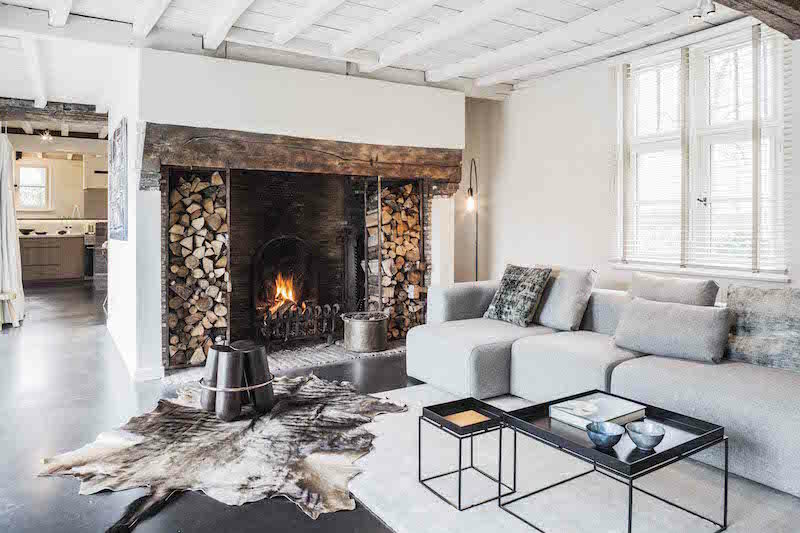 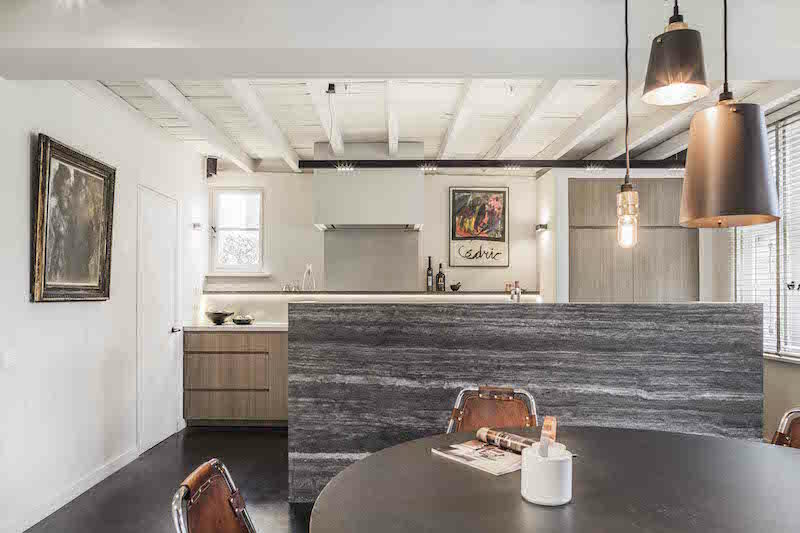 White painted wooden ceiling, sandblasted heavy old beams and the dark polished concrete floor create a stunning contrast while the soft and sensitive furniture give a sophisticated approach for the interior design. 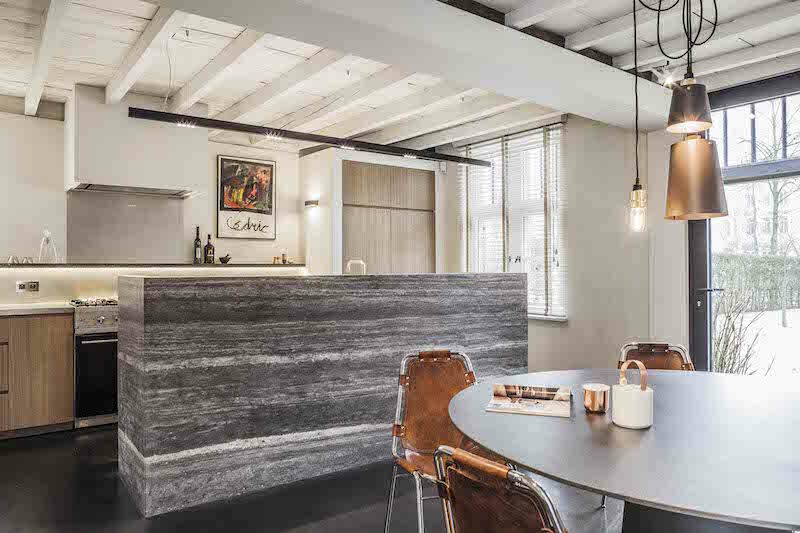 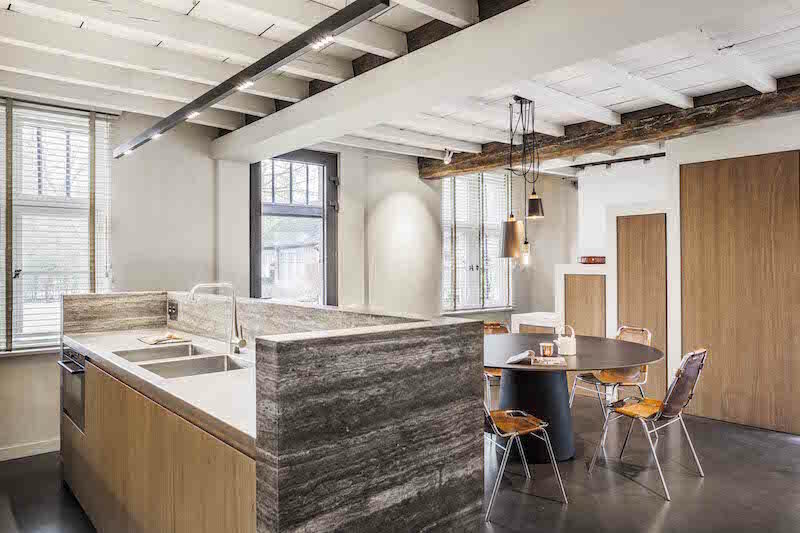 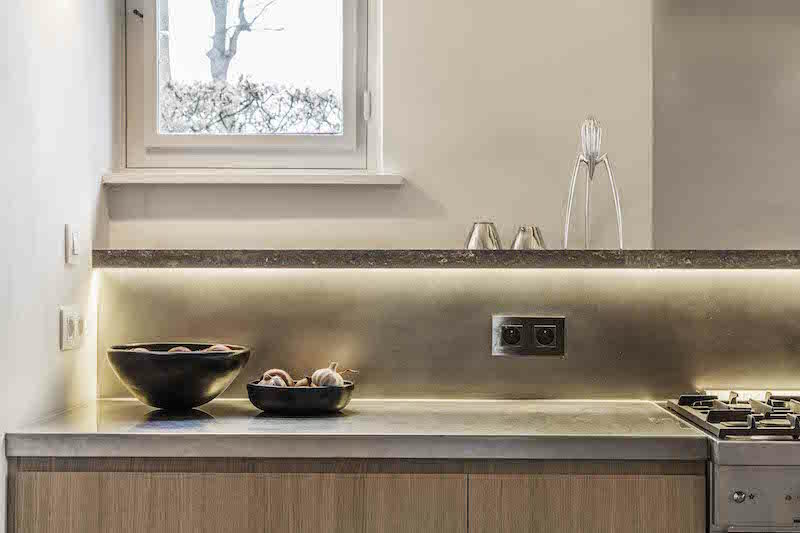 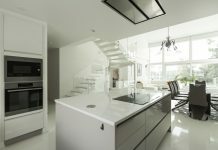 The natural stone finish of the kitchen island creates an eye-catching element for the open-space kitchen which also joins a dining area with a rounded table. 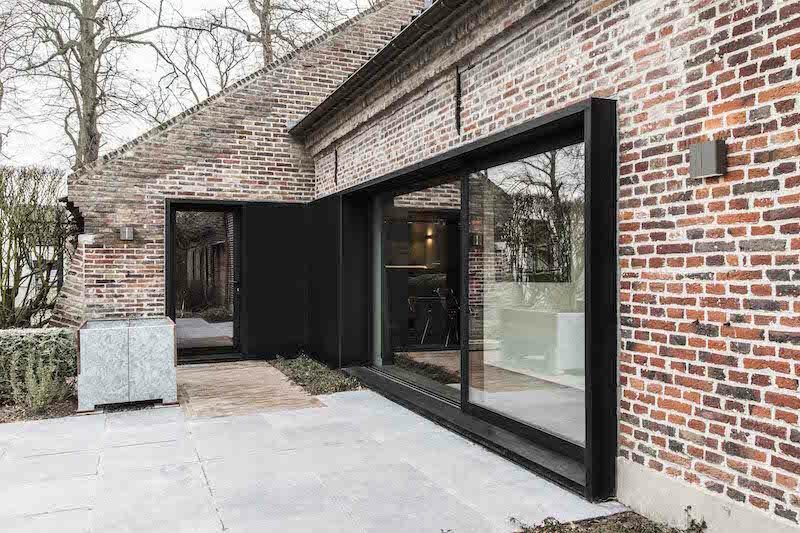 The black framing between the brick walls and the large sliding glass doors adapt the modernism with the traditional farm house style. 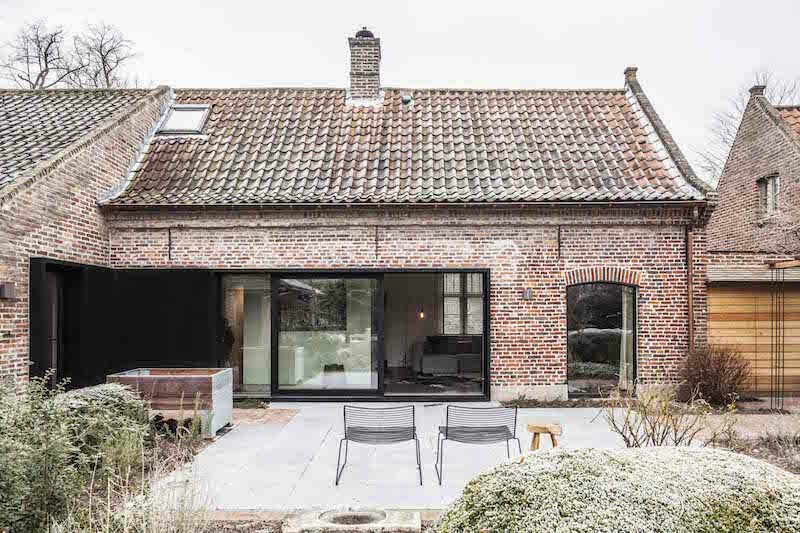 The open garden/patio area beautifully joins the living room area, creating a continuum and expanding the main living space to outdoors.